Plastic Surgery. 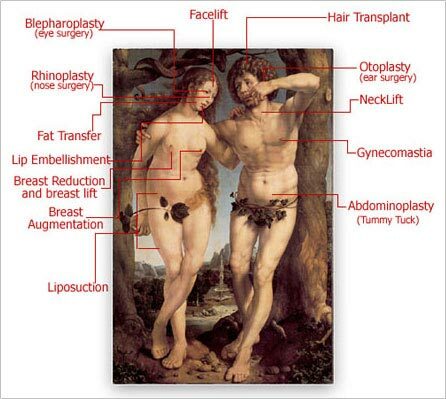 Cosmetic Surgery Amazing Beautiful Results at Low price. Breast Augmentation enhance the size and shape of a woman's breast for a number of reasons. Women choose to have breast augmentation for different reasons. Breast augmentation is usually done to balance a difference in breast size, to improve body contour. If you’ve thought about having your breasts enlarged, you’ll want to get the facts so you can make an informed decision. Liposuction can help to sculpt the body by removing unwanted fat from specific area. There are many different ways that the liposuction procedure is performed today. The words tummytuck mean that we are removing skin and fat and tightening your abdominal muscles. However tummy tucks come in a variety of forms. Rhinoplasty, popularly known as "the nose job", Rhinoplasty is a very common procedure. The introduction of advanced rhinoplasty techniques has made it possible to achieve beautifully- pleasing outcomes. Breast Lift - The size and shape of a woman’s breast can be altered to her liking through a surgical procedure known as “Breast Augmentation". The procedure can be performed not only to increase the size of small breasts, but also to correct problems such as post-pregnancy size-reduction and to balance different breast sizes. Eyelid surgeryis a procedure to correct the sagging or drooping of the eyelids and the removal of excess fat, skin or even the herniated fat in the eye area. This procedure can give a more youthful appearance to an otherwise older, more tired looking face improve your appearance and add to your self-confidence. Face Lift (technically known as rhytidectomy) can't stop this aging process. What it can do is "set back the clock," improving the most visible signs of aging by removing excess fat, tightening underlying muscles, and redraping the skin of your face and neck. A facelift can be done alone, or in conjunction with other procedures such as a forehead lift, eyelid surgery, or nose reshaping. Facial implants to improve and enhance facial contours. Frequently, these implants will help provide a more harmonious balance to your face. Available in a wide range of sizes and styles for the chin, jaw, nose and cheek, implants add or restore contour and/or proportion to the face. to provide high quality plastic surgery procedures to all patients at extremely Affordable Rates. Our an anesthesiologist certified by the American Board of Anesthesiology with over 20 (twenty) years experience and has been working in major plastic surgical centers in the Los Angeles and Beverly Hills area and has provided his services during plastic surgery for many movie stars and rich and famous. At the we offer a variety of plastic surgery procedures: tummy tuck, liposuction, rhinoplasty, breast augmentation, face lift, eyelid surgery, breast reduction, etc. performed in a fully accredited operating room with state of the art equipment used by experienced surgeons, ensuring the highest quality of care.